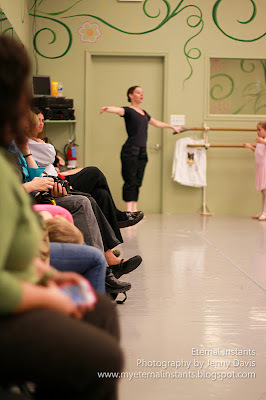 This week was observation week for family members of the students at Greenville Ballet Company. The advantages of this dance studio over others in the area are apparent. 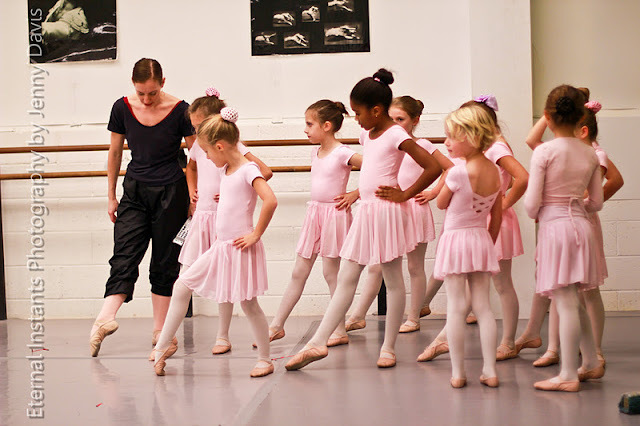 The main reason I chose the school was because of the superior professional instructors. At least, I think they are. 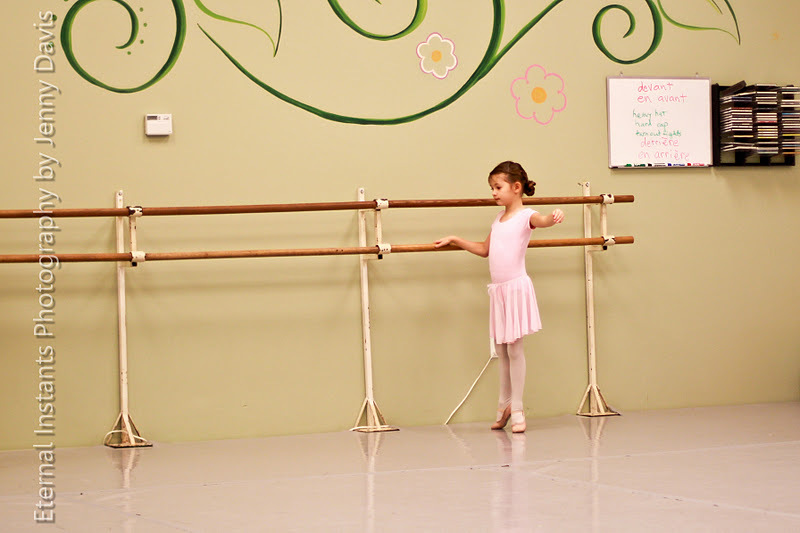 My little girls love to dance. 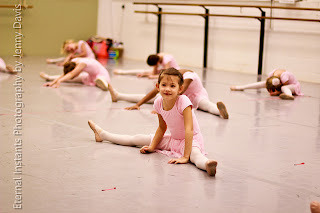 In fact, taking ballet was all my daughters idea. But I want the children to be somewhat cultured. More than I was as a child. Studying in whatever they take interest. 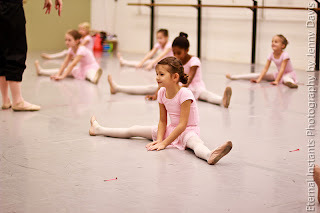 I wanted my daughter to take class seriously and learn a little discipline as well. After all, we drop quite a bit of cash so that she can study with the best. have fun, and discover herself through art and theatre. 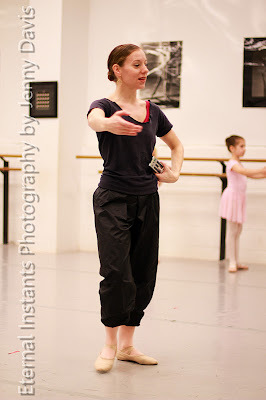 I very much enjoy watching the students dance. And the instructors are phenomenal, as I've said. 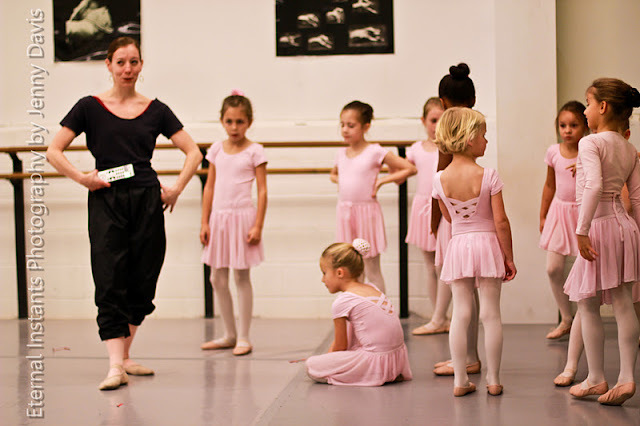 I have personally never taken any dance classes. I was sort of a "gymnast". I only took a few classes. I was mostly self taught. the tumbling, flexibility, and basic monkey climbing skills. The kids in this class are typically all first graders. I love this image above, of teacher and pupils. 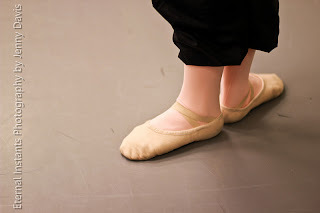 The feet, above, belong to my daughters instructor. 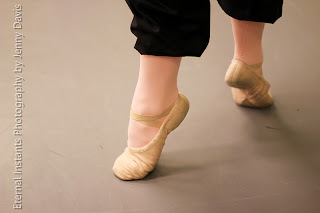 They say dancers are very picky about their feet, as they are the tools of their trade. The children are so adorable. ALL of them! This instructor is amazing. I can't say this enough. My daughter loves her to pieces! The toothless one. She lost two teeth in one week. I heard a lot of groaning in this exercise. 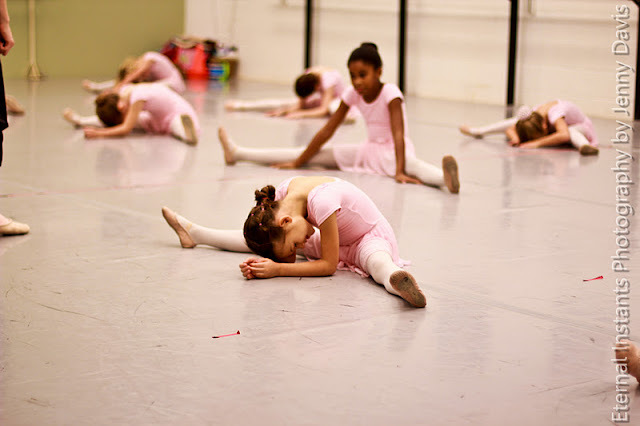 Now there is the flexibility I once knew as a child. 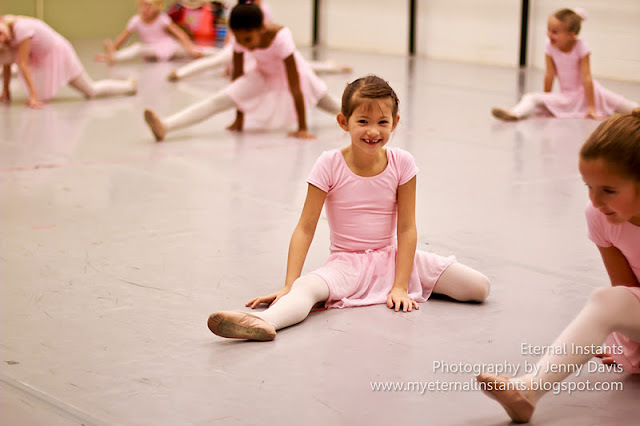 She loves her dance class and I am proud of her no matter what she does. This will be Hannah's first year in the "Nutcracker" performance. I think I am more excited than she.